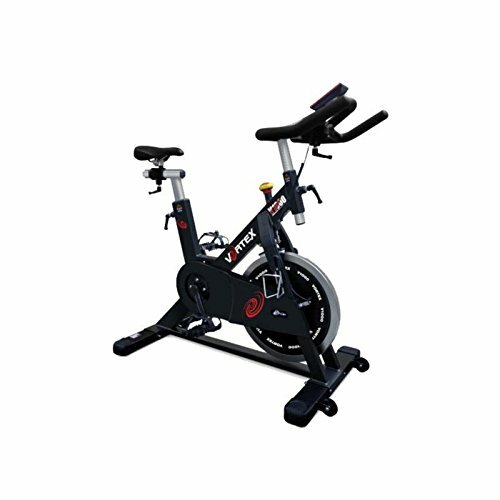 If you are wondering what are the best spin bikes Australia has to offer, then you have come to the right place. In this guide to the best spin bikes we will be sharing all the information that you need to know for when choosing the right model for your budget and needs. In addition our reviews feature some of the best-selling models in Australia. Within our reviews you will find something to suit all budgets and experience levels. 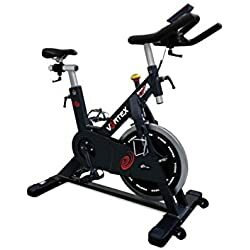 The first thing a lot of people notice when they buy a spin bike is that there are numerous brands and models to choose from, the hard part is deciding which model to go with. As with all products there are good and bad brands/models. 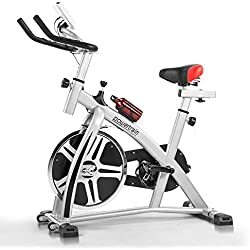 If you never bought a spin bike before i would highly recommend reading our buyers guide before you do purchase one as it may well save you a lot of time and money. 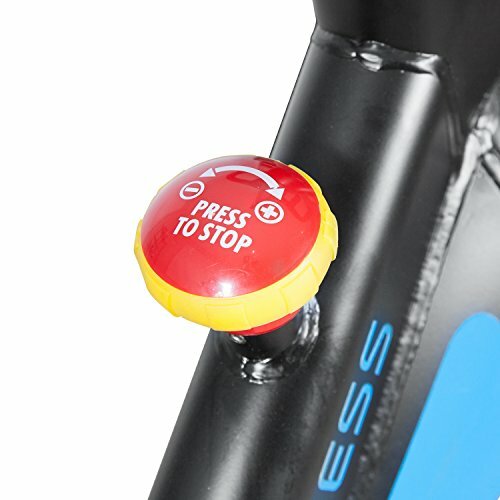 The resistance system that a spinning bike uses is a very important factor to consider when buying. There are two types of resistance systems that are used with spin bikes and these are magnetic and friction based resistance. 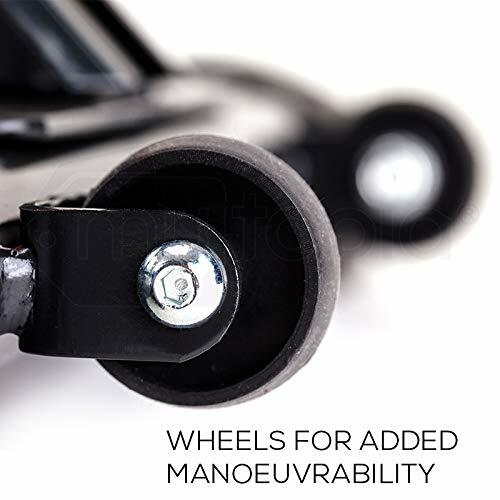 Magnetic resistance is considered the best as it causes less wear and tear and needs less maintenance. Friction based resistance uses two pads to cause the resistance, the problem with this is that the pads come into contact with the flywheel and eventually need replacing. The flywheel is the weighted wheel that is usually found at the front of a spin bike. It is is connected to the crank with either a chain or a belt drive. The flywheel plays a big part in the intensity of a workout that you will get from a spin bike. It is worth remembering that the heavier the flywheel is the more intense the workout is. 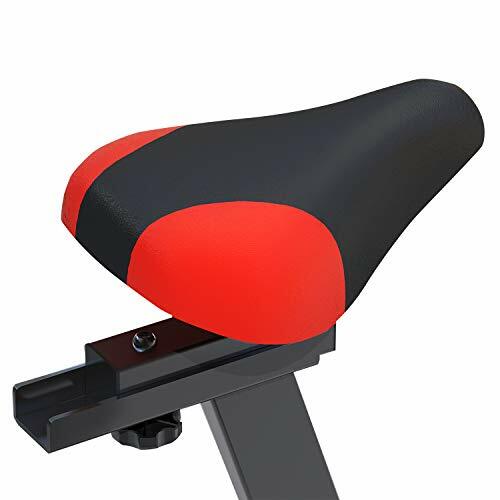 The seat and handlebars are two important features with regards to how comfortable a spinning bike is to use. The best spin bikes for home use are the ones that have both an adjustable seat and handlebars. These features allow the user to find the most comfortable riding position, which in turn can lead to a longer workout. 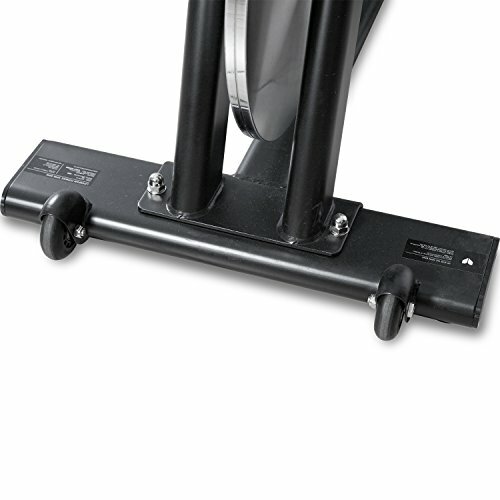 Spin bikes can come with either cheap plastic pedals or more durable metal ones. When buying you will notice that some models come with foot cages or anti-slip pedals for a firm footing. Furthermore more expensive models feature an SD click system for those that prefer to wear cycling shoes. The monitor functions allow the user to keep track of their workout and any progress made. 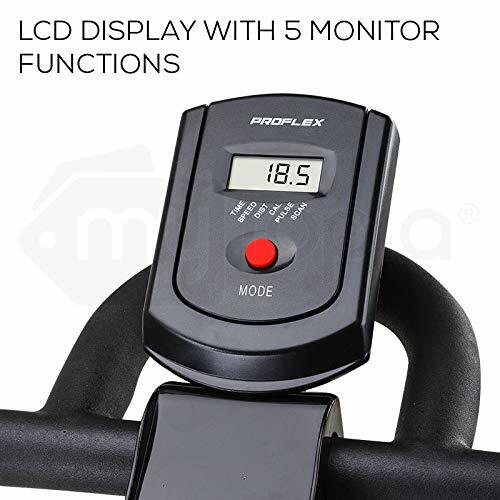 The amount of monitor functions that a spin bike has depends mainly on the price. Budget models tend to come with four monitor functions and some of the best spinning bikes can have six or more. 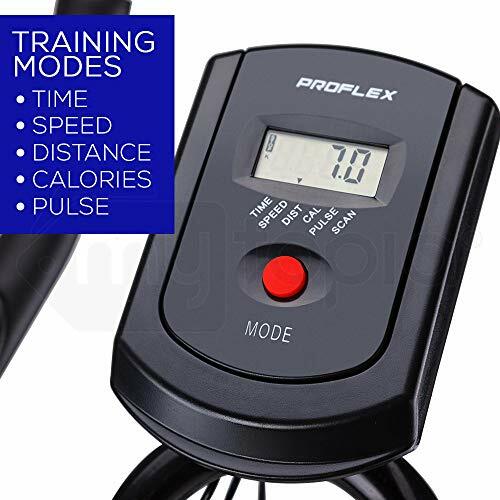 Speed, time, distance, calories, pulse and RPM are the main monitor functions you can expect to get when buying a spin bike. Workout programmes are an excellent way to stay motivated. In addition they also help to alleviate boredom. 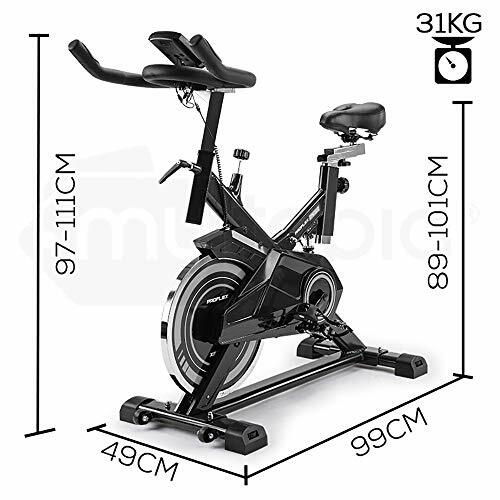 When buying a spin bike you will find that the more expensive models come with lots of different exercise programmes. Budget models on the other hand, rarely have any workout programmes. 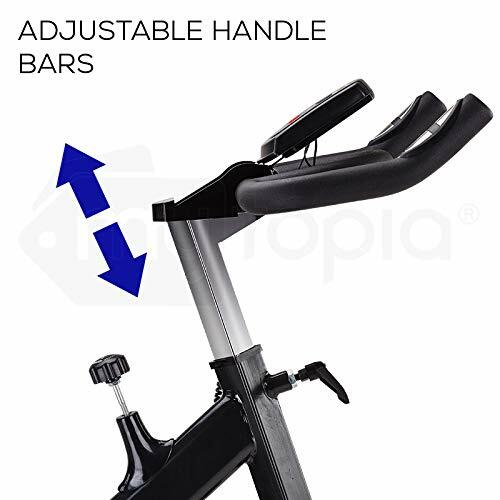 The maximum user weight is a very good way of knowing how well-built a spinning bike is. Generally speaking anything above 100 Kg should be good enough for most people. One thing worth remembering is that the heavier the max user weight is the more sturdy a spin bike tends to be. When buying any home exercise machine its always wise to check how long the warranty lasts. With spin bikes buyers will find that budget models come with a one year warranty. More expensive models can have a warranty from two up to 10 years. In addition always check if parts and labour are included. 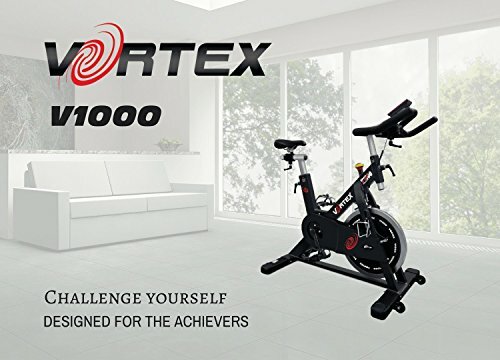 The first bike in our best spin bike reviews is the Proflex SPN700 which for a cheap spin bike has above average features and specifications. 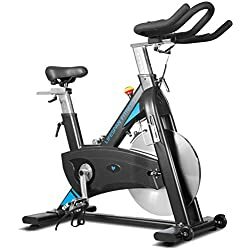 In addition it also looks like it costs a lot more than it actually does, where as most budget spin bikes look cheap, the Proflex SPN700 looks like it belongs in the mid- price range. 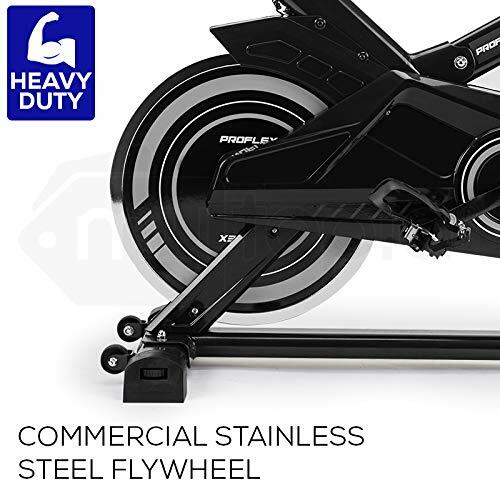 Featuring a very impressive 11 Kg flywheel there is a good spin workout to be had with this exercise bike. In terms of resistance this model is best suited to beginners, more experienced users will find the resistance offered to be fairly light in intensity. 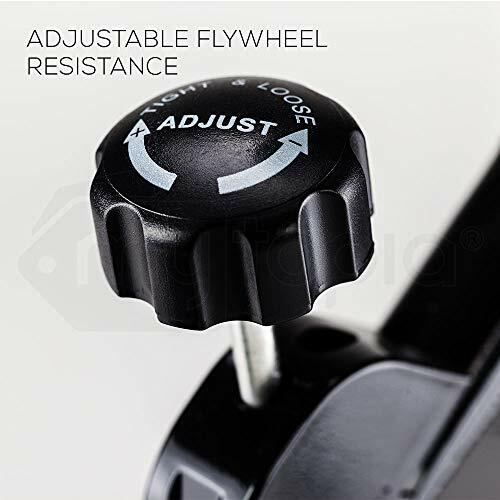 To adjust the resistance all the user has to do is turn the flywheel resistance control. 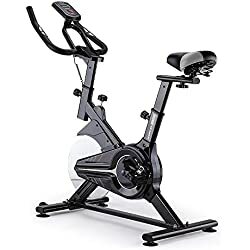 Due to this been a budget spinning bike the LCD display is fairly simple, however it does have five monitor functions which is more than most indoor exercise bikes in this price range. The five monitor functions allow you to set and execute targeted goals related to duration, distance, speed, pulse rate and calories. Another positive to the Proflex SPN700 are the adjustable seat and handlebars. 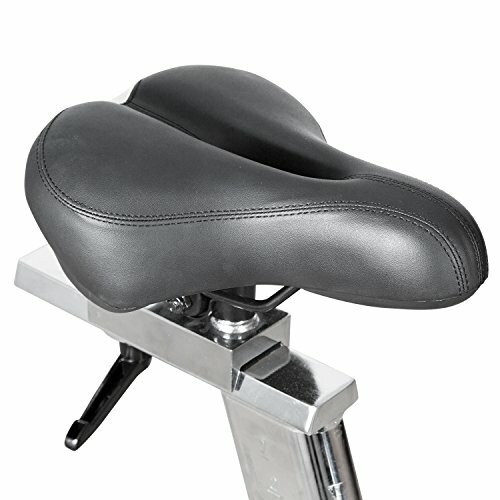 In conjunction both these features allow the user to find a comfortable riding position. Talking of comfort, the seat is also thickly padded which is a rarity among cheap spin bikes. 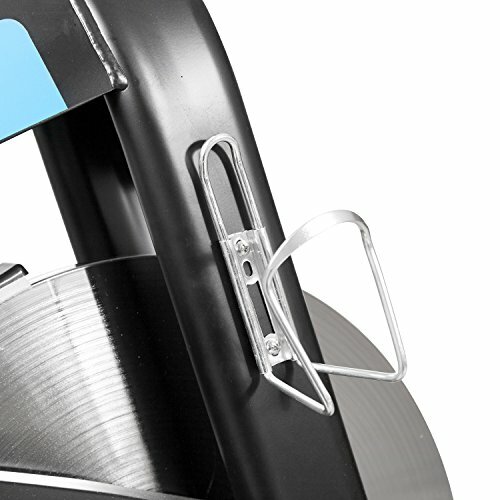 Other features include a mobile phone holder and transport wheels for portability. There are a lot of budget models on the market and to be honest the majority of them aren’t that good at all. The Proflex SPN700 is one of a handful of affordable spin bikes that are well designed and has some good specifications. If you are on a limited budget then this one is well worth taking a look at. With a good weight to the flywheel and enough monitor functions to keep track of any progress it represents good value for money. The LSG SPG 100 is another budget model with a good number of positive features. 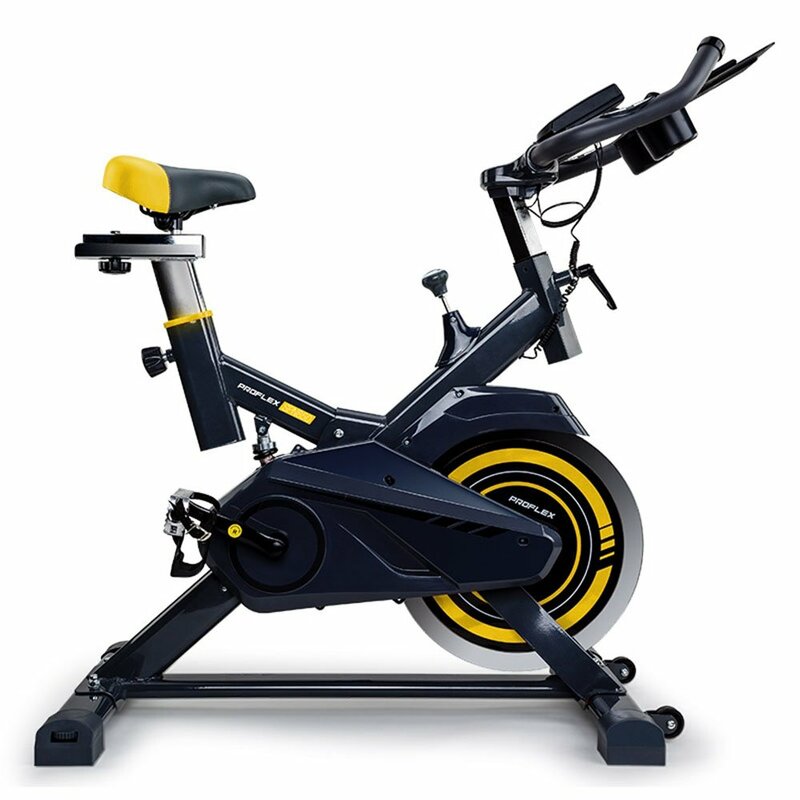 As you can see from the image this is a very modern looking spin bike. With some excellent customer feedback from previous buyers and numerous sales this seems to be a good buy. 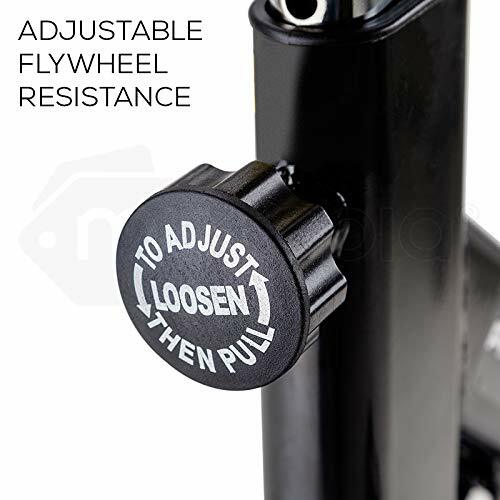 The first thing to say about this model is that it offers a good workout and with a 13 Kg flywheel it is suitable for both beginners and intermediate users, again more experienced users won’t find the intensity of the resistance testing enough. The LCD screen shows the users speed, time, pulse and calories and is simple to use. 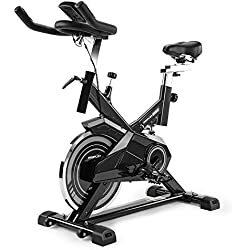 Due to this being a budget spin bike there are no exercise programs, you would have to spend a bit more to get this feature. Additional features include an adjustable seat and handlebars and pedals with toe cages for a firm and secure footing. Again this is another good budget model, if not one of the best budget spin bikes in Australia. 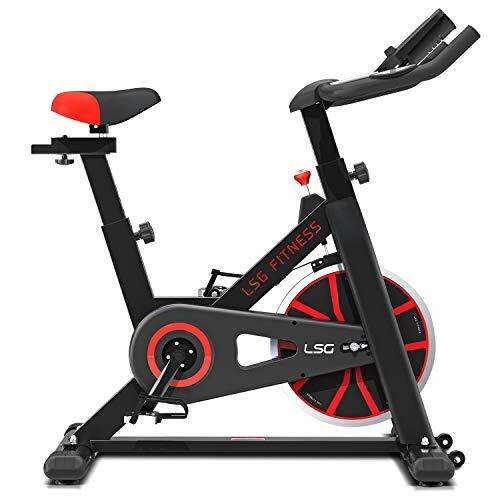 With a solid design a good range of resistance and some very good customer feedback it comes recommended by many as a good spin bike for beginners. The only downside to the LSG SPG100 is the maximum user height, which is only 175 cm. If you are quite a bit taller than this then you will struggle to find a comfortable riding position. 12KG FLYWHEEL – TrueSpin Precision Flywheel for a guaranteed smooth ride. 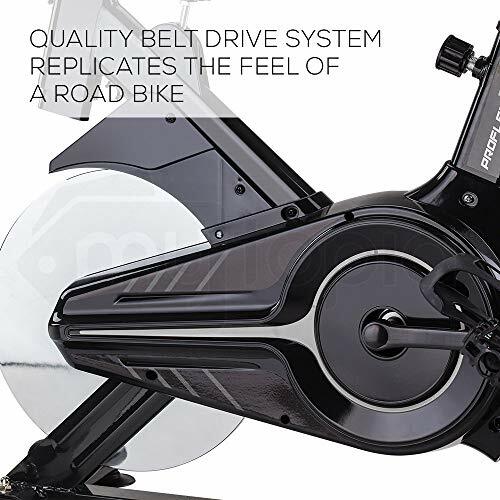 HEAVY DUTY BELT DRIVE – Smooth and quiet ride with minimal maintenance. UNLIMITED RESISTANCE – Near limitless resistance at the turn of a dial. MULTIFUNCTION LCD DISPLAY – Track time, speed, distance, odometer, calories, and pulse. STRONG CONSTRUCTION – Tubular steel frame and 3-piece crank to withstand the most vigorous workouts. Another model by the Proflex brand and this time it’s the Proflex SPN850. 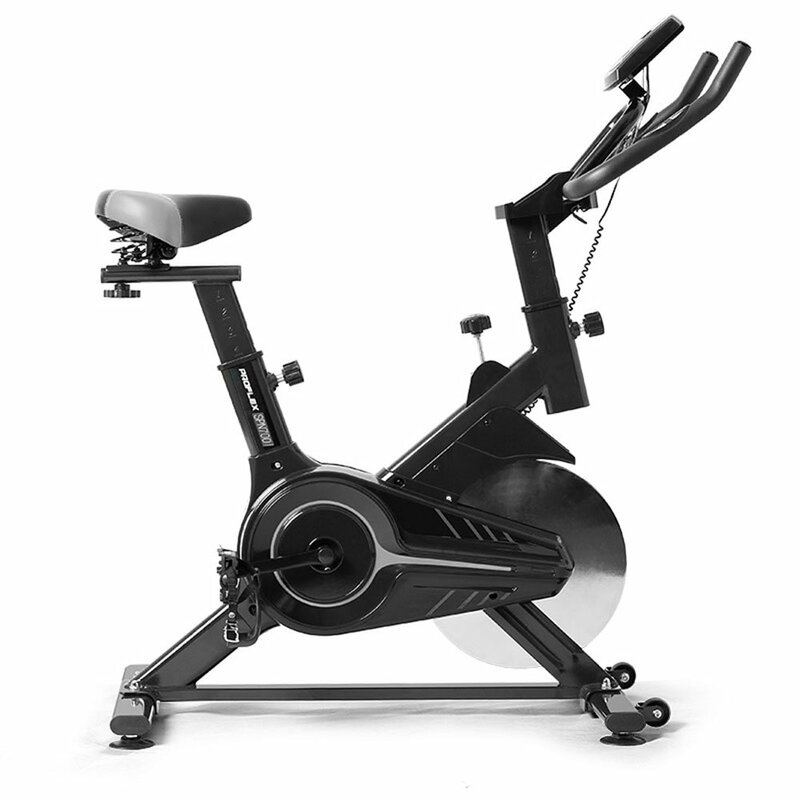 Due to the very heavy 28 Kg flywheel this spin bike will certainly give the user a hard workout. It’s rare to find a budget spin bike with a flywheel this heavy, so some bonus points there. In addition this model also comes with magnetic resistance and at the top end the intensity of the resistance offered will put you through your paces. To drive your motivation further, the SPN850 offers four training modes that allow you to set and execute targeted goals. The LCD screen displays time, speed, distance, calories, odometer and pulse so you can keep track of your progress. With a total of 16 exercise programs there is more than enough to keep you entertained while exercising. Customise your workout further with the use of the flywheel resistance control to establish your own intensity level. It’s well-known that the more comfortable you are while exercising the longer you will tend to workout for. Due to this Proflex have paid a lot of attention the the ergonomics and comfort levels of the SPN850. The design features a fully adjustable seat and handlebars an extra-thick padded seat, drink bottle holder, adjustable rear suspension. 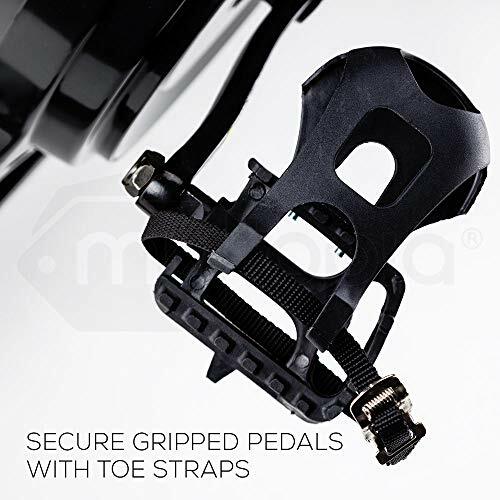 Furthermore the pedals also come with toe cages. . 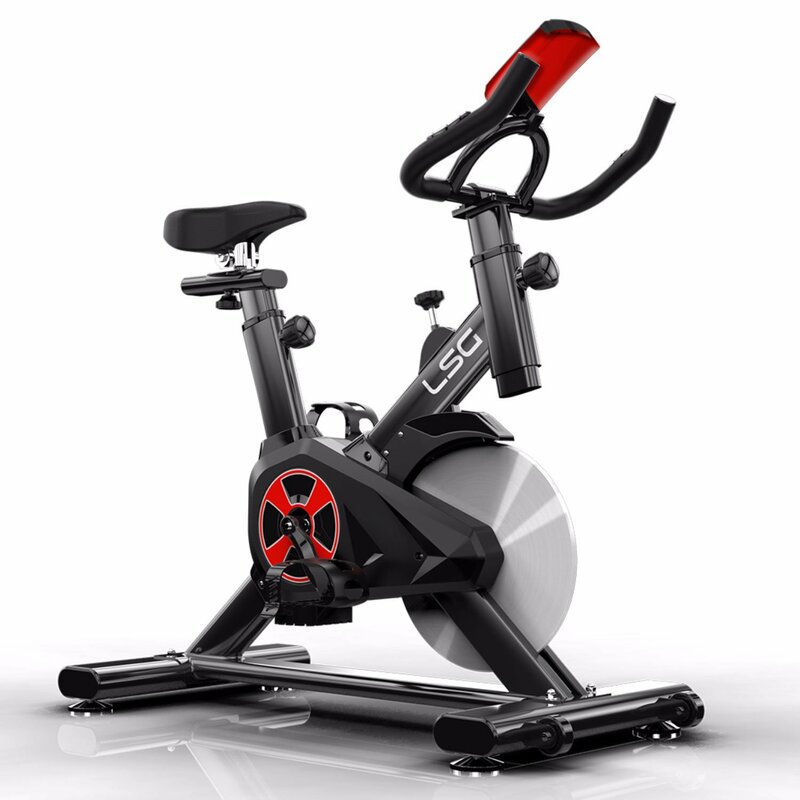 The Proflex SPN850 is one of the best value spin bikes in Australia. 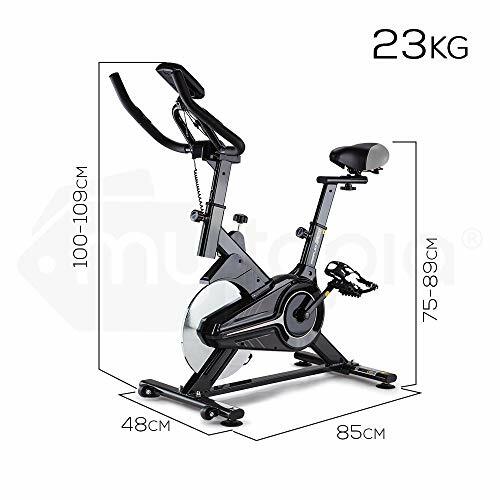 With a 28 Kg flywheel and 16 exercise programs this model has many features that you would normally only get with far more expensive indoor exercise bikes. 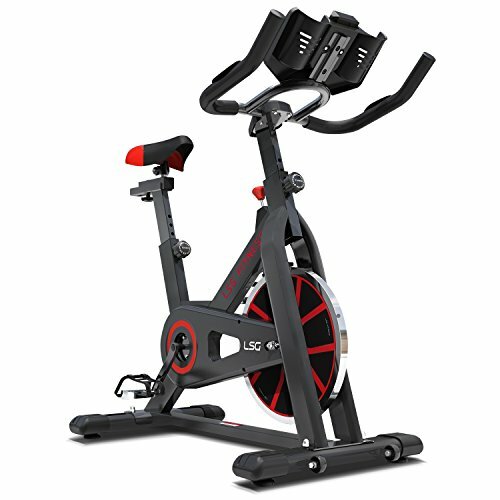 Whether you are new to spinning or a spin class veteran the SPN850 caters for all. The Sp870 spin bike is the latest top of the range model from the Lifespan Fitness brand. 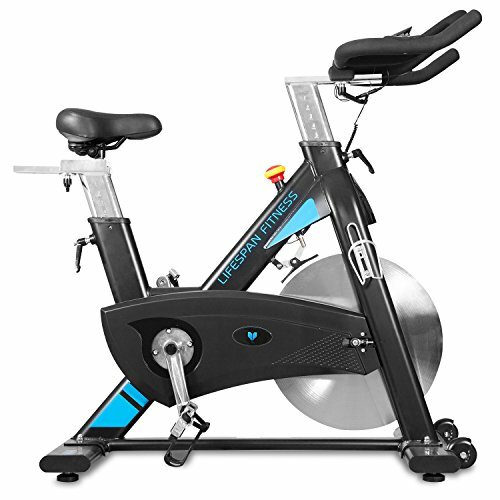 Featuring a 25 Kg flywheel and a direct edge resistance system this spinning bike is for perfect for those looking to build endurance and stamina. The direct edge resistance offers even the most experienced users a very tough workout. In terms of design the Lifespan Fitness Sp870 is built to last, with a thick tubular frame and a maximum user weight of 180 Kg the overall quality is guaranteed. In addition with a lifetime frame warranty with every purchase, Lifespan Fitness seem to be pretty confident about this too. 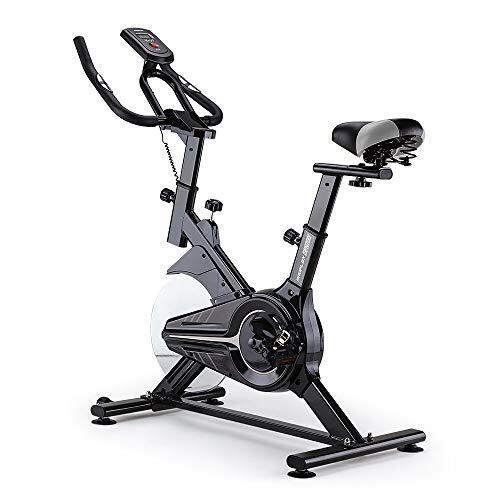 This spin bike comes with a large LCD display to keep track of your workout progress with measurements such as calories, distance, odometer, pulse, speed, time and cadence (RPM). 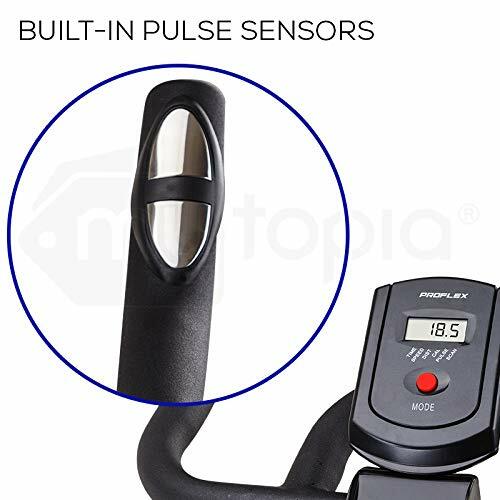 Pulse sensors are built right into the high-grip PVC coated handlebars for accurate pulse readings. For comfort there is an adjustable seat and handlebars. The seat is thickly padded and made from a durable pvc leather. 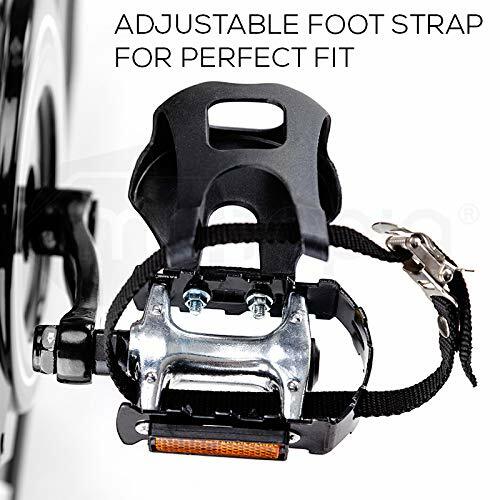 Other features include toe straps on the pedals and a water bottle holder. Lifespan fitness have designed a very robust and sturdy model with the SP870. 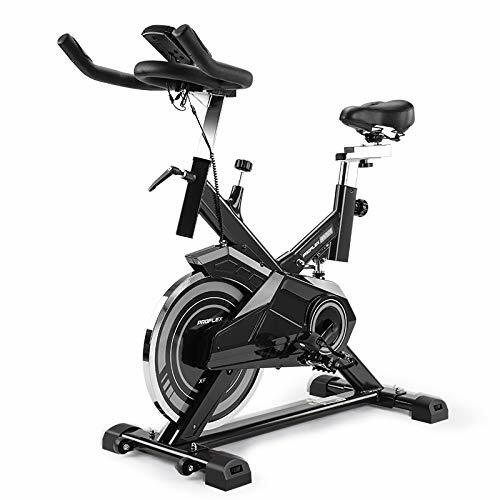 Made for everyday use this indoor exercise bike is best suited for those that know they intend to use a spin bike for a long time to come. 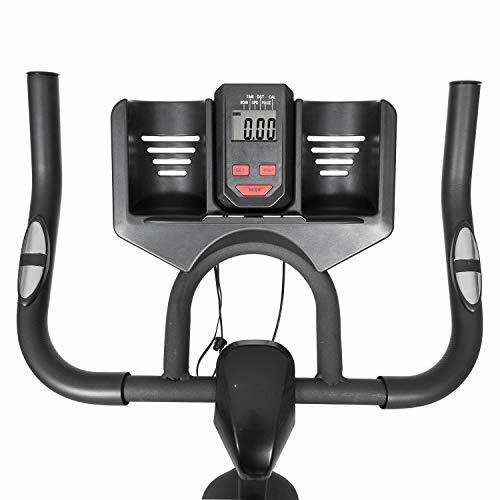 Due to the almost unlimited resistance and solid design it may be the last spin bike you ever need to buy. Basically it offers everything that one of the best spin bikes in Australia should offer. 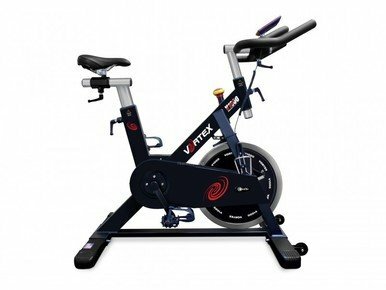 The Vortex V1000 is a prime example of a top quality spin bike for home use. It comes with a 20Kg flywheel and features an almost silent belt drive. Due to this it is extremely smooth when in use. 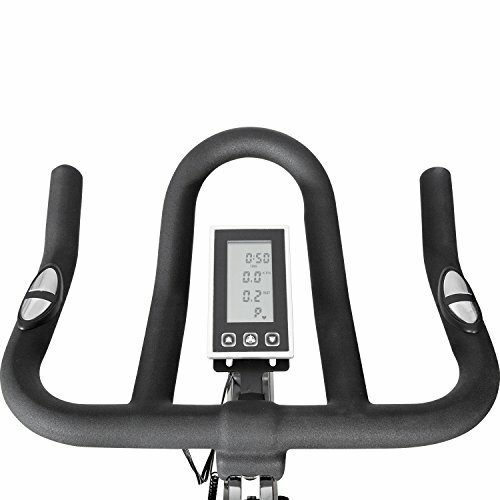 The built-in LCD display allows users to track readouts such as calories, RPM, speed, time and pulse. Furthermore it is also compatible with a heart rate monitor. In terms of exercise options users can choose from sprints, marathons and interval training. Both the seat and handlebars are fully adjustable making it possible to easily find the most comfortable riding position. The seat is covered in a thick foam padding and is far more comfortable than the majority of seats you get with other models. It also features pedals with toe cages for safety and comfort. Made from a heavy duty and durable frame providing the most intense, stable and safe workout sessions for users up to 130kg. 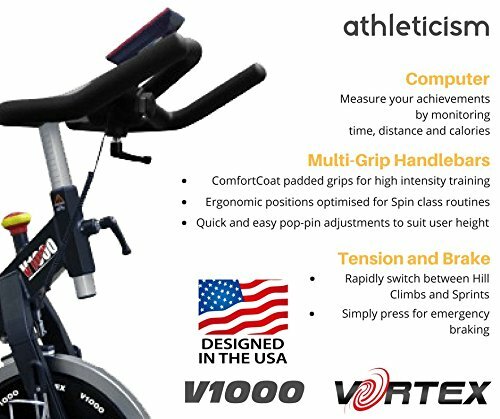 The Vortex V1000 has all the features and specifications that make a very good home spin bike. 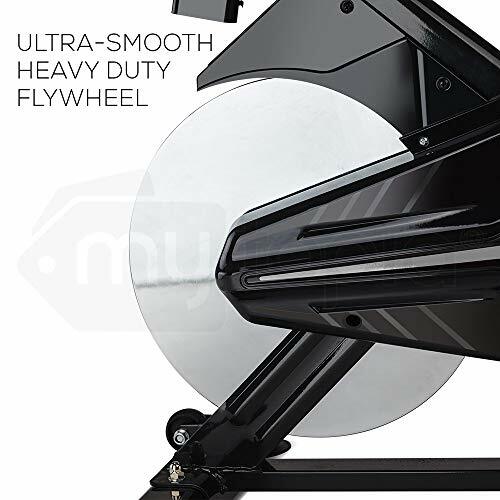 With a 20Kg flywheel it offers a high-intensity workout which is ideal for burning calories. It offers plenty of exercise options and great consideration has been put into even the little things, such as the seat which is made from a durable non-tear material that is extremely comfortable. If you are looking to buy one of the best home spin bikes this one comes highly recommended. Cycling is an extremely beneficial style of working out. Along with weight loss, cycling increases cardiovascular fitness, muscle strength, flexibility, joint mobility, posture and coordination. Buying a spin bike for home use is an excellent way to stay fit and healthy. In our top 5 reviews you will find models suitable for all budgets and needs. If you think we have missed a model out in our reviews let us know in the comments below. Best Aussie Reviews is a consumer review website that recommends the ultimate best products. Our team spends months on research & testing and then select the products with the best balance of price, features & functions with the aim of saving you both time and money.